Cambodia has banned exports of breast milk to the United States. 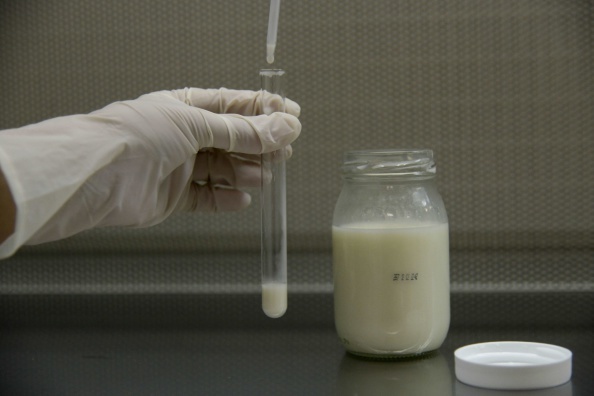 Ambrosia, a Utah company, has been shipping breast milk to American mothers (and possibly some body builders). Cambodian authorities say that the business endangers the health of babies. UNICEF is adamantly opposed to the sale of breastmilk by poor women in developing countries. “Breast milk banks should never be operated by exploiting vulnerable and poor women for profit and commercial purposes,” Iman Morooka, of UNICEF in Cambodia, told The Guardian. There are ethical objections, as well. "It treats the women as a tool for producing things for other people who have more opportunity," says Ros Sopheap, the director of NGO Gender and Development for Cambodia. "Even if the women do it voluntarily, there is financial pressure." Ambrosia Milk—known in Cambodia as Khun Meada, which means “gratitude of mothers” in Khmer – has exported the milk of about 90 women since 2015. “We believe in empowering the mothers of Cambodia with a way to make money while nurturing their families, as well as others, through the donation of their excess milk,” says its website. For poor women, it must seem like an attractive proposition. One woman told the Cambodian Daily that the minimum wage in a garment factory is US$144 per month, while she could earn $120 a week by selling her breast milk. Ambrosia has exported about 500 kg of frozen breast milk every two to three months since it began operations.